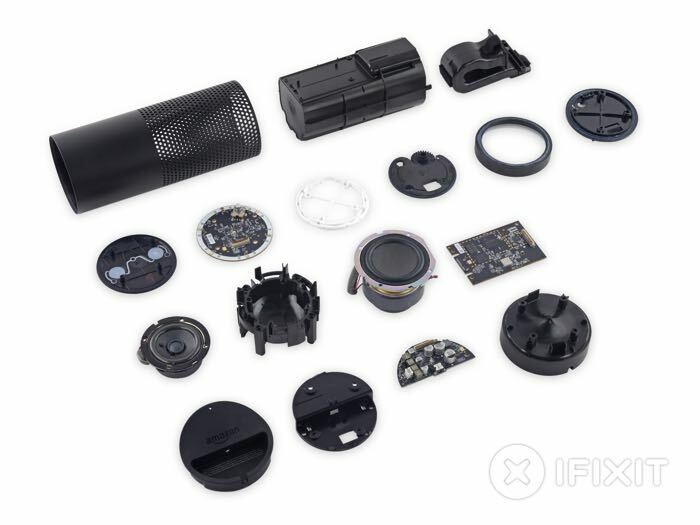 Back in November Amazon announced their new voice activated assistant for your home, the Amazon Echo, and now the guys from iFixit have taken one of these gadgets apart to see what was inside. 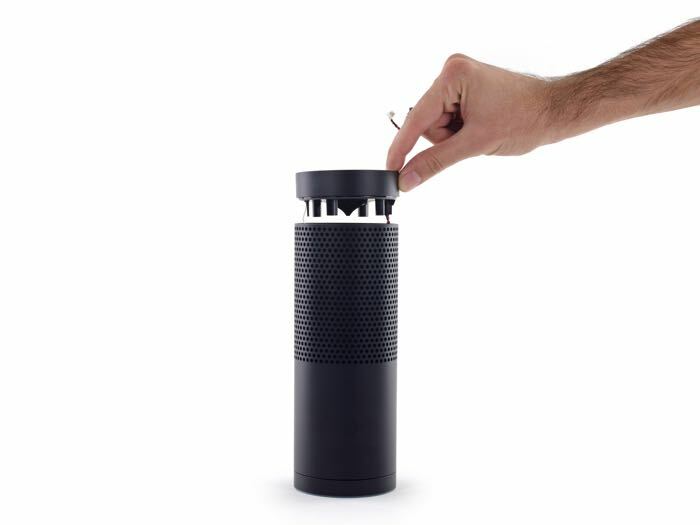 The Amazon Echo is designed to work in a similar way to Apple’s Siri and Microsoft’s Cortana, it can be used to set alarms, play music, add items to your Amazon shopping list and even ask it questions. 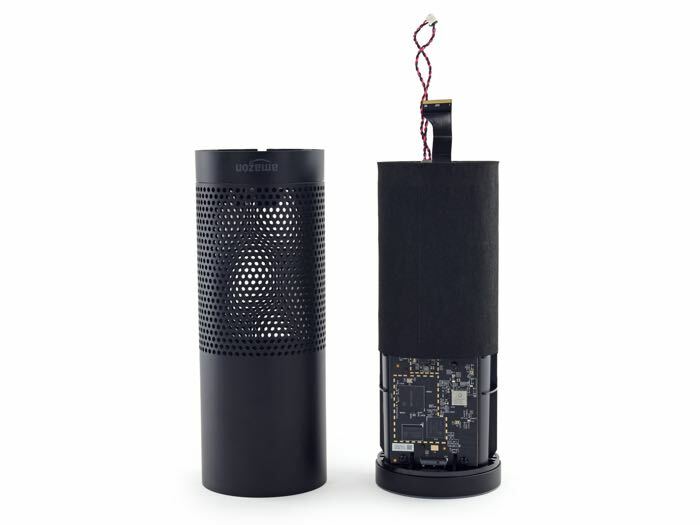 When the device was announced, Amazon did not reveal any details on what was inside the Amazon Echo, and the guys from iFixit had a look inside, and they found out it comes with a TIDM3725CUS100 Digital Media Processor, 256MB of RAM, 4GB of storage, a Qualcomm Atheros WiFi and Bluetooth module, a 2.5 inch woof and a 7 inch tweeter, plus a 7 microphone array. 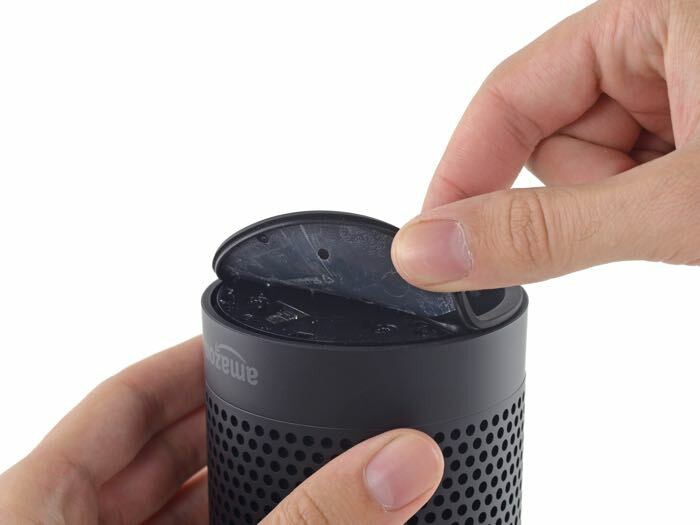 According to iFixit, the Echo is relatively easy to repair, the device managed to score 7 out of 10 on their repair index, with 10 being the easiest to repair and 1 being the hardest.